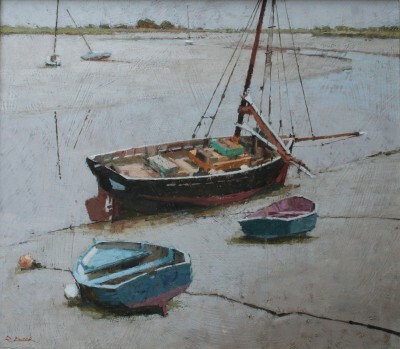 Right now we are waiting for new Richard DACK Art to arrive at the gallery. In the meantime, here is a selection of the artist's archived art work which has featured at Red Rag Art Gallery. 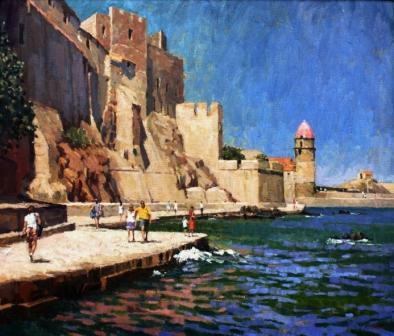 If you wish to register to receive updates and alerts when new art work from Richard DACK arrives select this link. 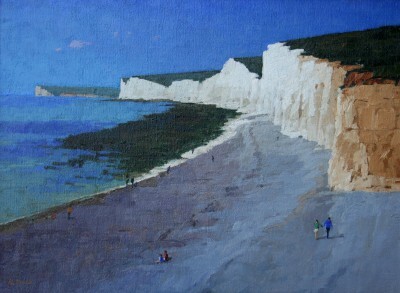 British contemporary artist Richard Dack studied modern British art painting and printmaking at Camberwell School of Art. 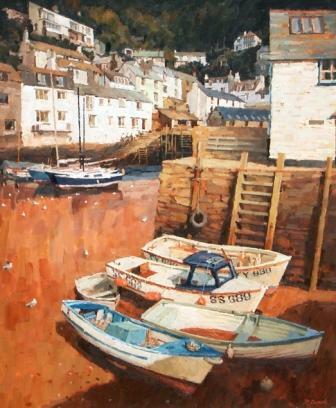 For many years Richard combined painting with a successful career teaching art in Cambridgeshire and later in Devon. 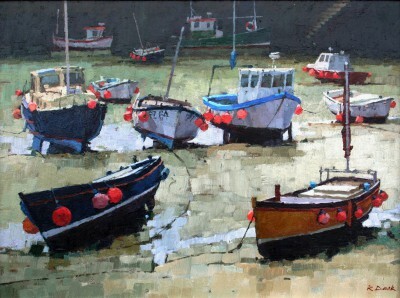 Richard Dack was born on the East Coast, and Dack's familiarity with the maritime environment has provided a recurrent theme in his contemporary paintings.Dack's paintings are mostly oils on canvas although his move to Devon and subsequent discovery of Dartmoor led to a large body of work on paper. 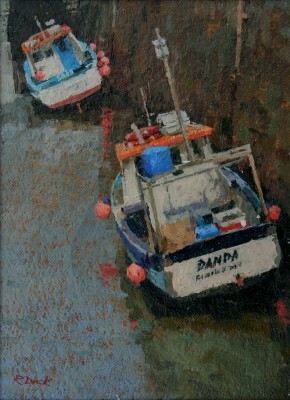 Richard Dack left teaching art in 1997. 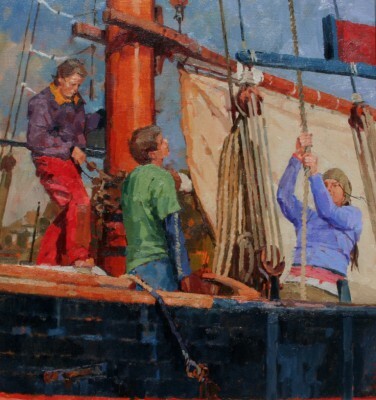 Dack's paintings have won many British art awards including: the Mariners Award for Modern Art and The Worshipful Company of Shipwrights Art Award at the Royal Society of Marine Artists exhibition in 1998 and again in 2005. 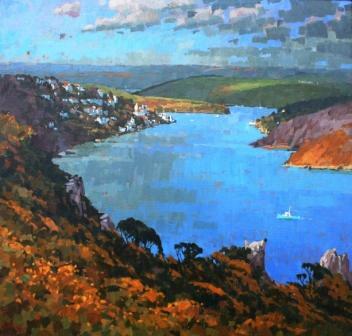 Richard Dack also won the 1999 Ariel Open Modern Art painting competition in Totnes. 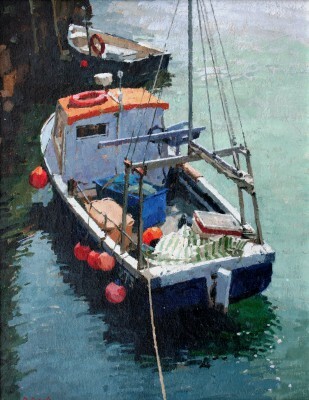 Pursuing maritime subjects takes Richard Dack to many British coastal locations, but it is invariably the quality of light that provides the major focus in his contemporary paintings. 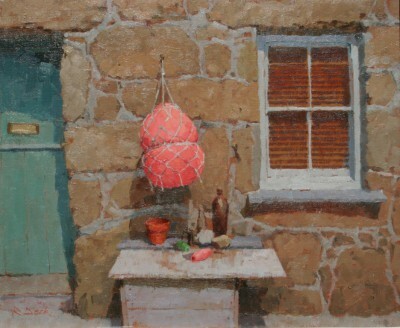 In addition to Red Rag British Art Gallery Richard Dack has exhibited at other leading British Art Galleries. 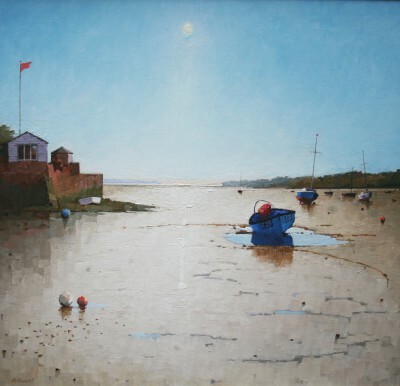 Each painting at Red Rag is sourced from the Richard Dack artist studio and like all Red Rag British art and Contemporary art it can be shipped worldwide.